NECTEC El Niño information page. 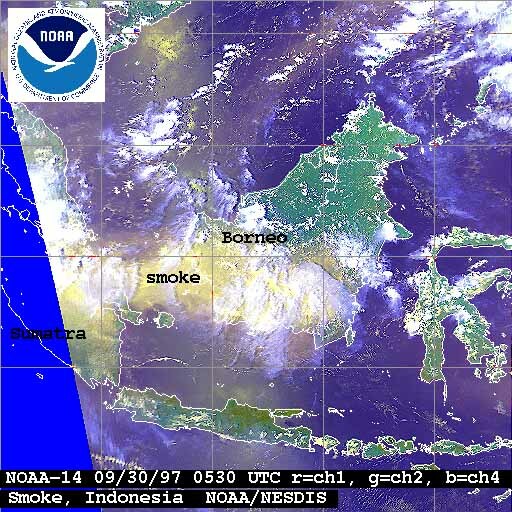 See also: NECTEC's El Niño, haze crisis and The Thai Meteorological department. The forest fires in Kalimantan and Sumatra, Indonesia have caused tremendous effects to many of ASEAN nations. Parts of Southern Thailand are mildly affected by the incident. This web page is a collection of useful links obtained from various search services and collections of many contributors, notably from http://www.manipal.org.my/manipal/haze.html, a mirror web site courtesy of Dr.M.Vadivale. Please send your update/comments to webmaster. MALAYSIA: http://www.vensara.com/haze/ Malaysian Haze Online Report, with real-time API data at Kuching and archive of API readings. 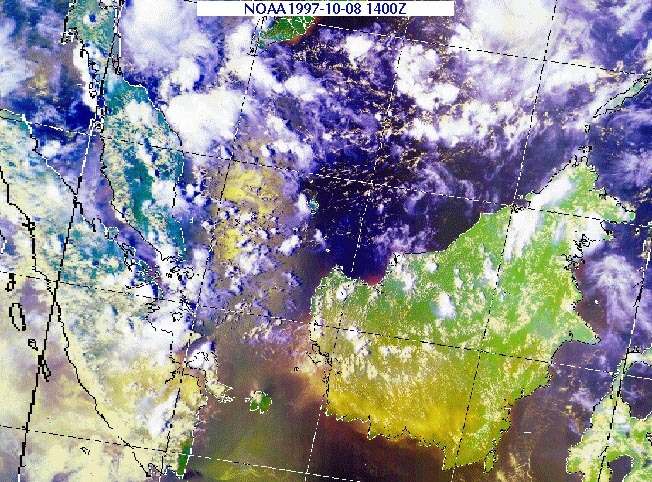 MALAYSIA: Visibility - Source : The Star Paper, Malaysia. MALAYSIA: DOE - Department of Environment, Malaysia page on the Air Pollutant Index. SINGAPORE: Meteorological Service Singapore - Latest Visibility readings. SINGAPORE: Ministry of Environment, Singapore - PSI readings. Health effects of air pollution , etc. Source: National Center For National Biotechnology Information(NCBI). When you read the MEDLINE (NLM PubMed) abstract click on Links: Related Articles. Daily mortality and air pollutants: findings from Koln, Germany. J Epidemiol Community Health 1996 Apr;50 Suppl 1:S52-S58 ; Spix C, Wichmann HE. Deja News - Search articles and Newsgroups. Note the information obtained from Newsgroups are not moderated and should be interpreted with caution. Choose a view from a satellite e.g Measat 1, Measat 2, Palapa C1 etc. Sarawak Tribune & Utusan Sarawak, Sarawak, Malaysia. Kompas, Indonesia. See English section.